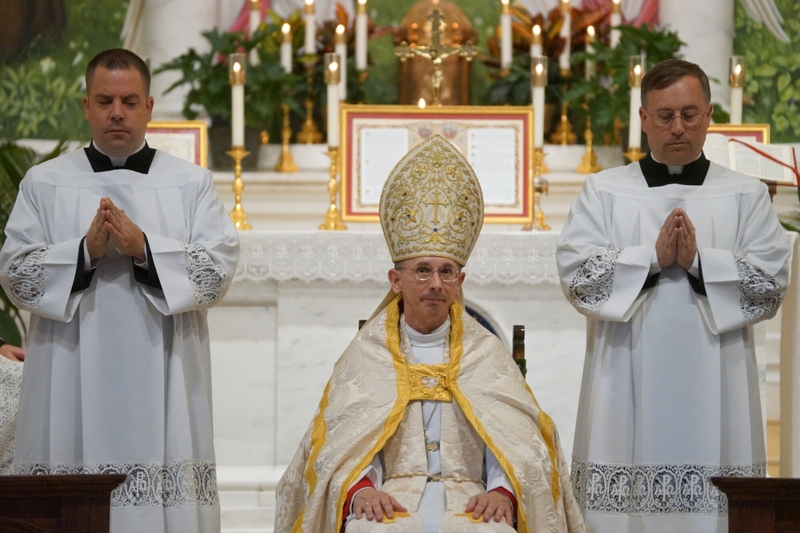 On Saturday, the Most Reverend Peter J. Jugis, Bishop of Charlotte, North Carolina celebrated the Sacrament of Confirmation in the Extraordinary Form, a first ever occurrence for a diocese only just established in November, 1971, two years after the release of the New Mass. 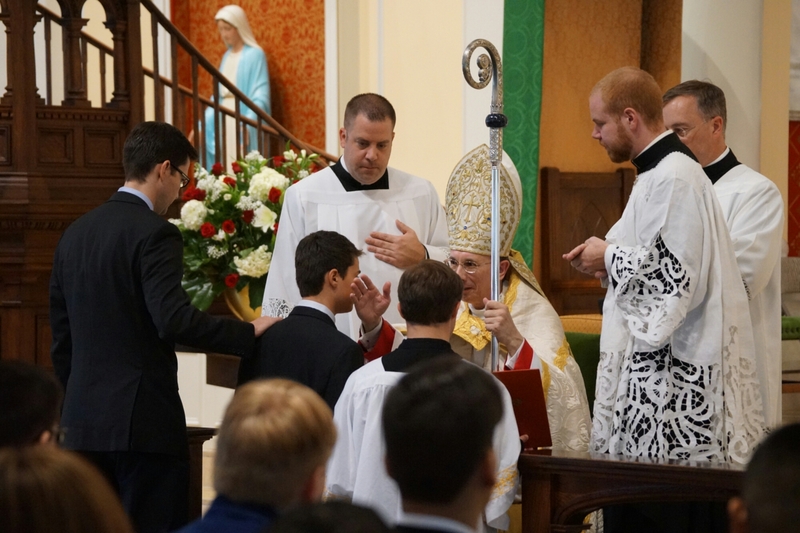 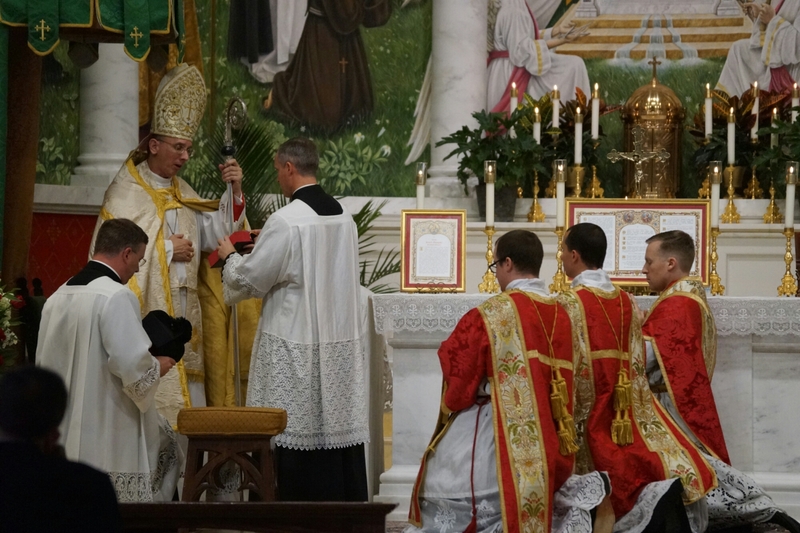 While Bishop Jugis conferred the sacrament, the Holy Sacrifice of the Mass itself was offered by Father Jason Barone, with Father Jason Christian serving as deacon and seminarian Deacon Matthew Bean as subdeacon. 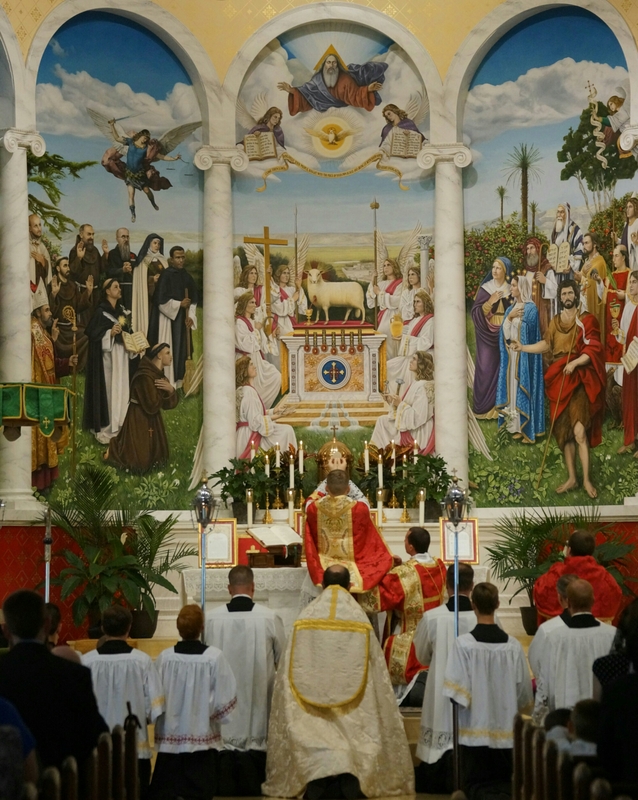 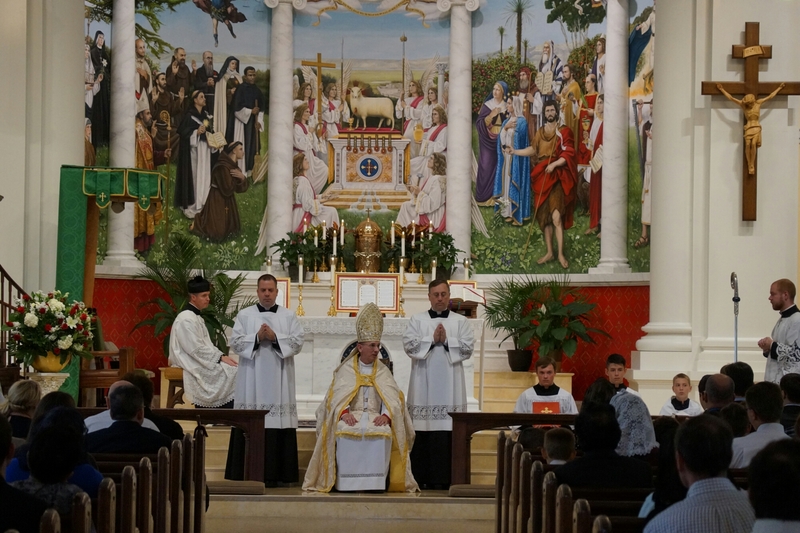 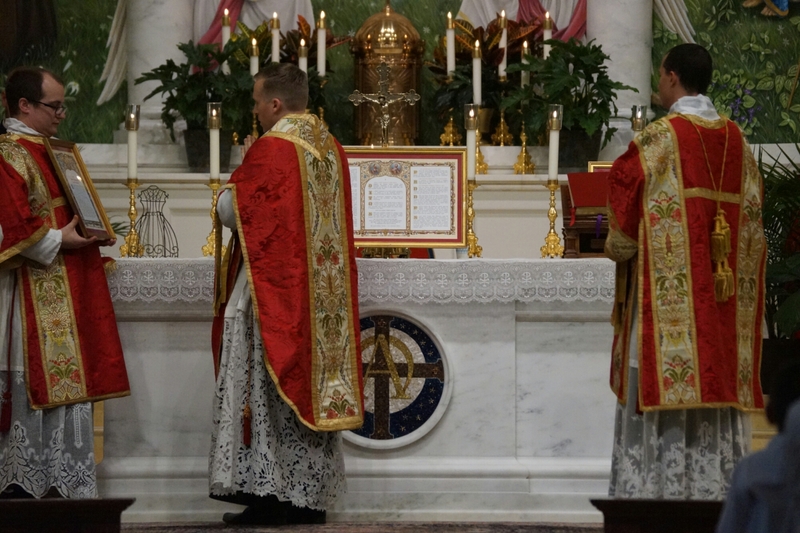 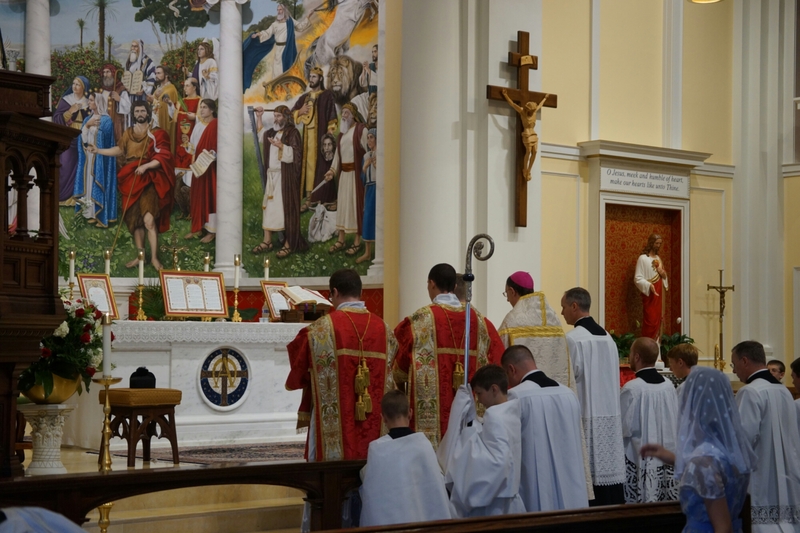 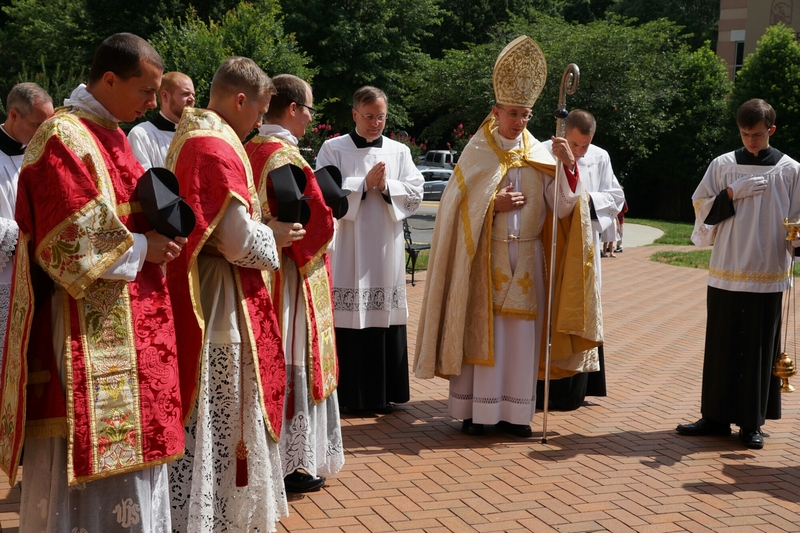 The Confirmation Mass was offered at St. Ann’s parish, home to the diocesan Charlotte Latin Mass community, where a weekly Sunday Traditional Latin Mass has been offered by pastor Father Timothy Reid for the past three years. 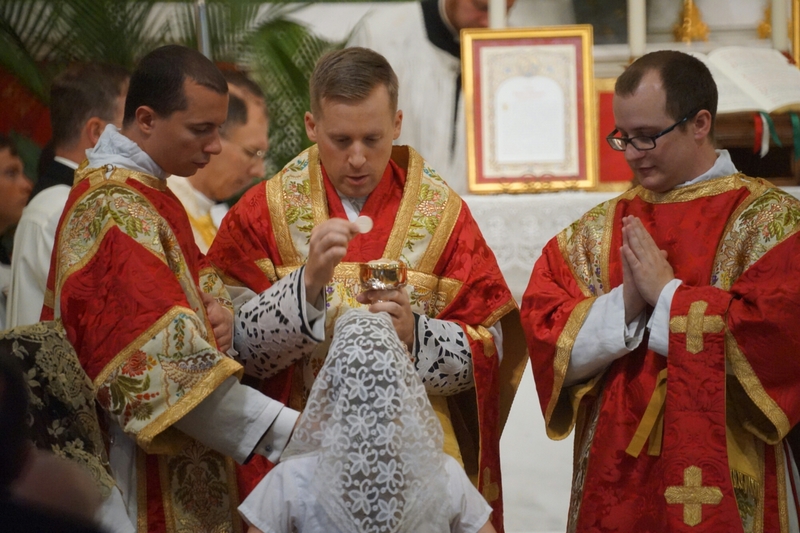 While St. Ann’s has seen its share of traditional rite baptisms, weddings, and requiem masses, Saturday’s Confirmation Mass signifies the next big step in restoring the sacred in Charlotte.